What is the Fuel Cost Adjustment? Since January 2007, Volunteer Energy Cooperative (VEC) customer bills have included a separate Fuel Cost Adjustment, a pass-through charge from the Tennessee Valley Authority (TVA). VEC does not receive any of the FCA charges – The funds collected through the FCA go directly to TVA. Why charge a Fuel Cost Adjustment? Volunteer Energy Cooperative buys power from TVA and provides it to our customers. About 75% of TVA’s power supply comes from fuels used to make electricity – nuclear, coal, oil and natural gas. When the prices of these fuels change – because of weather, the economy and the global supply and demand for fuels – TVA’s costs change. This fuel cost increases or decreases monthly, depending on how much TVA pays for fuel and purchased power. 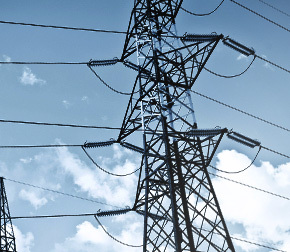 From January 2007 until April 2011, a portion of TVA’s cost of fuel were included in the base rate part of your electric bill – the part that primarily covers TVA’s cost of building and operating power plants and transmission lines. The rest of TVA’s fuel costs were recovered through the monthly fuel cost adjustment on customer bills. In April 2011 billing, 100% of TVA’s fuel costs were included in the Fuel Cost Adjustment. The new total monthly fuel cost amount on customer bills was then larger than the fuel amount in the past – because it contains the fuel costs that had been in the base rate. However, the base rate portion of your bill was correspondingly lower. This change simply moved charges from one portion of your bill to another. Residential: 2.081¢ per kWh * different amount posted in Powerlines due to TVA adjustment after publication. Residential: 1.825¢ per kWh * different amount posted in Powerlines due to TVA adjustment after publication.